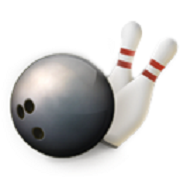 I have placed this thread on the BowlingCommunity calendar to mark the closing date. Also, please refrain from making "I'm in" posts to this thread, as I wish to keep this as a single-page thread; you may use the general league discussion thread for this purpose (as well as asking questions). Finally, this thread may be "bumped" periodically to keep it in the recent posts list; such "bumps" will be deleted as needed. We hope to see you in the fall league. Roster will be edited as sign-ups come in, so, if you don't see your name in this roster, please assume that you haven't signed up. Plenty of time, but be sure to sign up soon, because the middle of August will be here before you know it. Email reminders also going out tonight. More than a mere "bump"...sign-up for the fall virtual league closes this coming Sunday (Aug. 20). See first post above for details. If you're not sure whether you've signed up, please check the roster in this thread.